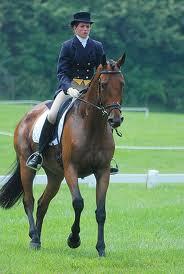 Most Thoroughbreds are very flighty and nervous. This is due to there breed and there care from the track. Some can be gentle and very talented. 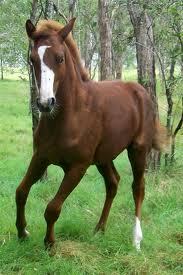 This happens after the horse has been home from that track atleast a year or is home bred. They are spirited ,bold and excitable. They usually love their jobs. Very competitive bred that is why they make great race horses. Sometimes they can be nervous in unfamilar situations which causes they to over react.